Brett is a University of Nebraska graduate with bachelor’s and master’s degrees from the University of Nebraska Kearney and an education degree from the University of Nebraska at Omaha. He spent seven years at the University of Nebraska-Lincoln where he coordinated the College of Engineering’s K-12 Outreach program, worked with faculty members on instructional design practices in blended classrooms and conducted research on K-12 engineering education. In the summer of 2017 Brett joined the staff at Trinity Lutheran School in Fremont, Nebraska, working as its coordinator of STREAM education. He assists with teaching Project Lead The Way, leads an after-school STEM program for students from multiple schools and oversees the Trinity’s aquaponics system. 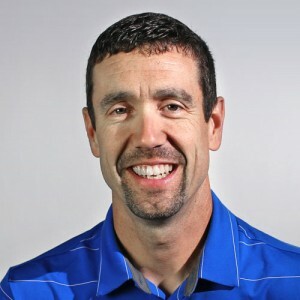 Brett is also a part-time instructor for the University of Nebraska at Omaha College of Education where he teaches a course focused on the improvement of STEM instruction. Copyright © 2009 TEC21. All rights reserved.